We all have those Low Spoons or Icky Weather days (too cold/rainy/etc to want to go outside). What do you do with your low spoons or rainy days? I know some of the time I spend it sleeping because I need to recharge my spoon count. But other days, I absolutely love to read on my kindle. Don’t get me wrong, I used to love reading from a paperback or hardcover book. But I found myself trying to figure out how to get comfortable, how to get the light just right so I could read without straining my eyes, and how to hold my book without my hand falling asleep. The kindle went on sale for Cyber Monday and I snagged one right away. Best purchase I’ve made in the last year. The “screen” is like book, so you can read in the bright sun without any glare. It’s really lightweight. Honestly, I think my case probably weighs the same as the kindle by itself (I like to keep my electronics protected so I have this one). You can electronically borrow books from your public library. Coolest part? 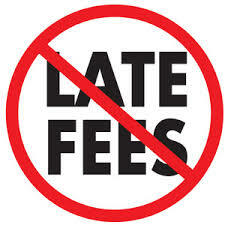 They AUTOMATICALLY return themselves, no late fees ever again and a huge library to choose from for FREE! It’s backlit, you can choose the size of your font and the boldness (I like mine a little bigger and super bold), and it’ll sync to the kindle app on your phone (so it’ll keep your place, even if you forget your kindle and you’re sitting at the doctor’s office and want to read on your phone). It goes without saying that there are some major players in the video streaming scene. I didn’t realize that Amazon Prime video had the entire collection of the Sopranos! I’d never watched it before because I don’t pay for regular TV, I stream everything. Great for finding a new show to have on in the background. So I added a refurbished Echo 1st generation and the sound is amazing! It’s got some pretty decent base and I love the dial on top. Cost about $70 and I have it in my bathroom so I can enjoy music while relaxing in the tub. Incredibly handy for the “Aha" moments or “Don’t forget to…” - I just tell Alexa to add items I need to my shopping list (like when I’m running out of shampoo, body wash, etc.) or remind me to run an errand that I’d forget about. And finally having the ability to Skip songs by saying “Alexa, NEXT!”, when a song I hate decides to creep into my playlist. What’s your favorite or go-to show on Netflix? Hulu? Amazon?